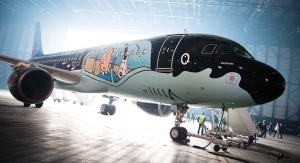 The paint and coatings industry has put a tremendous emphasis on the Chinese market where the largest international paint manufacturers all have built major operations and continue to invest there. 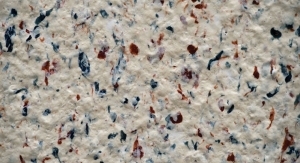 Chinese paints and coatings consumption reached just over 11 million tons in 2011. 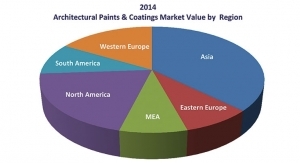 More than one-third of the market was occupied by architectural coatings. This dynamic market has continued its growth trajectory despite the global economic recession by focusing on domestic market demand in the construction, automotive, and home appliances and consumer electronics sectors. Hosting key events, such as the Beijing Olympic Games in 2008, Shanghai World Expo in 2010 and Guangzhou Asian Games in 2010, China has stimulated huge amounts of investment in the country’s infrastructure. China has continued to invest in infrastructure development, including new bridges, landmark city buildings, alternative energy facilities, nuclear generation plants, schools, and hospitals. These factors have all contributed to double-digit growth in the Chinese coatings market year every year since 2002, with the exception of 2008, according to IRL’s report, “A Profile of the Chinese Paint Industry.” The report updates IRL’s previous study released in 2009 and includes the latest industry trends and up-to-date statistics. 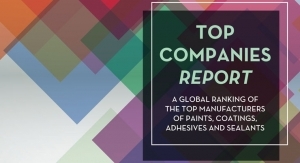 The report says over the next five years market growth is expected to remain at a level of around 10 percent per year, with the fastest growth being achieved in road marking paints, coatings for plastics, automotive refinishes and protective coatings. These booming sectors will compensate for considerably slower growth in automotive OEM coatings and wood coatings said the report. Per capita paint consumption remains relatively low in China at approximately 7.2 kg, indicating that there is still considerable potential for the market to grow further and penetrate into the more underdeveloped regions of China. 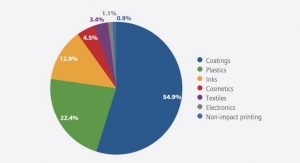 The Chinese coatings industry continues to be highly fragmented, with as many as 20,000 manufacturers active in the market, albeit on a very small scale for many. Future consolidation is highly likely as smaller players get pushed out through environmental pressures and demand for more high quality products from the end-users. The key opportunities for future growth in the market will arise from factors such as: the 18th Congress of the CCP (Chinese Communist Party) that was held in October 2012 and there will be pressure on the new leadership team to introduce measures to stimulate the economy after many government incentives were pulled in 2011; the Chinese government’s affordable housing program plans to build 36 million new affordable dwellings over the next five years; huge regional disparities remain in China, with rural areas offering opportunity for infrastructural development and as yet untapped consumer demand; rising car ownership, poor road conditions and a very low scrappage rate will all boost demand for automotive refinishes; the Chinese end-user industries will be looking for coatings offering environmental benefits and safety features (like lead-free, VOC-free, formaldehyde-free etc. 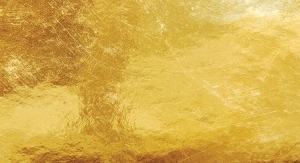 ), plus more functionality, in order to meet stricter standards (particularly for products destined for export) and serve the needs of discerning consumers (especially the younger generations); and offshore engineering schemes and infrastructure development will bolster sales of marine and protective coatings. AkzoNobel is planning to invest around €60 million to increase the production capacity of its automotive and aerospace coatings business in China. This investment will provide additional momentum for the company’s accelerated growth strategy of achieving revenue of $3 billion in China by 2015, and strengthen AkzoNobel’s leadership position in the country’s automotive refinishes market. As well as constructing a new production facility in Changzhou, the company will build related warehousing, quality control laboratories, support facilities and offices on the new site. The project will increase capacity by around 25 million liters and the site is projected to be operational in early 2014. AkzoNobel currently employs around 6,700 people in China, with revenue for 2010 totaling €1.3 billion, with a majority of the revenue generated from local demand. The new site in Changzhou will be the company’s 29th manufacturing location in China. 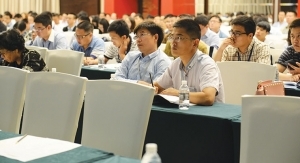 AkzoNobel’s powder coatings business, Interpon, opened its first Powder School in China, offering customers an opportunity to learn from their experts and improve the efficiency and productivity of their powder application lines. The Powder School is a service that offers customers hands-on training in powder application, product testing and troubleshooting support, as well as opportunities to learn how to get the best out of their production lines. Located within AkzoNobel’s Powder Coatings Application Center in Ningbo, Zhejiang province, the Powder School runs one and two-day courses every month. The Powder School also offers an opportunity to partner with customers in a hands-on environment to develop new powder applications and to showcase the latest developments in powder coatings technology. AkzoNobel, owner of the brands Interpon and Resicoat, is the world’s largest manufacturer of powder coatings. The Powder Coatings Application Centre was founded in 2011 in Ningbo. Jotun also recently opened its new state-of-the-art powder coatings factory and regional research and development (R&D) facility in China. Located in Zhangjiangang, Jiangsu Province, the new production facility covers an area of 130,000 square meters with a design that looks towards maximizing on efficiencies and reducing energy consumption. The new R&D facility is focused on the creation and development of products for coatings, paint and powder coatings. The new production facility was built adjacent to an already operational coatings factory in Jiangsu. The facility is equipped with the most modern equipment and machinery to ensure product consistency, energy efficiency and in compliance with the HSE standards. Products to be developed in the newly opened factory include Fusion Bond Epoxy powder coatings, hybrid epoxy/polyester powder coatings, polyester powder coatings and other specialized products. Jotun China is considered to be one of the leading players in the marine and protective segments. Since establishing its regional presence in China in 1998, the company now has a workforce of over 1,500 employees and an annual turnover of more than RMB 3 billion. Jotun China’s target markets include original equipment manufacturers (OEMs) and applicators operating in diverse industries like, construction, appliances, furniture and fixture, automotive and transport and the oil and gas (O&G) segment. 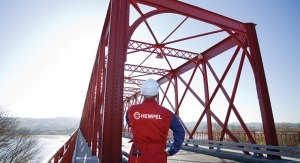 Protective coatings supplier Hempel opened a new manufacturing facility in Guangzhou, China that includes a new research and development center, which is the third largest R&D facility within the Hempel Group. With 56,000 square meters of space, Hempel’s newest and largest factory in Guangzhou is expected to produce more than 42 million liters of coatings per year, with a maximum production capacity of 55 million liters. The Guangzhou factory replaces Hempel’s oldest Chinese factory in Shekou, China, and employees have now moved to the new location. As part of Hempel’s environmental commitment, the factory uses the latest technology to recover materials and reduce the plant’s carbon footprint. This includes an automatic batching system to reduce dust emissions and minimize the manual handling of powders and a recovery system to recycle solvents for future use. In addition to an air incineration unit, an active carbon filtration system, sealed surfaces and fire water collection systems, the factory produces no industrial waste water. Located in the Yonghe Zone of the Guangzhou Economic & Technology Development District about 100 kilometers north of Hong Kong, Hempel’s Guangzhou factory was completed in 14 months at a cost of approximately €22.5 million. The Valspar Corporation recently opened a new research and development center in Shunde, China. The Valspar Applied Science and Technology Center will employ over 200 scientists to support the continued growth of Valspar in Asia Pacific and Valspar’s research and development on a global basis. Valspar’s 2011 global sales totaled US$4 billion, including sales in Asia Pacific of US$1 billion. Nearly half of the sales in the Asia Pacific region are in China, where Valspar currently has five manufacturing facilities. Valspar produces and sells high-quality coatings for numerous end-markets in China, including consumer paints, food and beverage packaging, shipping containers, furniture, building products, and agricultural and construction equipment. PPG Industries’ automotive refinish operations in China recently relocated to a plant in Songjiang, Shanghai. PPG executives, together with nearly 200 guests from leading automotive aftermarket companies, automotive manufacturers, automotive dealers, PPG suppliers, PPG authorized distributors and partner schools, attended the relocation ceremony. In their welcoming remarks, both Charles Bunch, PPG chairman and CEO, and Mike Horton, PPG president, Asia Pacific, spoke of PPG’s commitment to the Chinese market and expressed their confidence in the market’s growth potential, particularly in the automotive refinish sector. PPG has built training centers for automotive spray finishing in Shanghai, Beijing, Guangzhou and Chengdu, providing training for thousands of technicians from automotive manufacturers, auto service center and car dealers. The new Shanghai training center covers 3,000 square meters and includes state-of-the-art equipment to offer enhanced training for automotive refinish technicians. Chugoku Marine Paints, Ltd., a Japan-based company that manufactures and sells paints for ship, industrial and container uses, as well as adhesives, through its Chinese subsidiary Chugoku Marine Paints (Shanghai), Ltd., located in Jiading District, Shanghai, China, completed construction of its second factory and began operations. This factory, the company’s third manufacturing plant in China following the first Shanghai factory and the Guangdong factory, was established in order to strengthen the company’s productivity and competitiveness, as well as increase customer satisfaction. The new factory will supply paints for vessels, industrial paints for bridges, industrial plants, steel structures, etc. and resins for paints. In terms of new technology, CMP launched its Ekomate Series of waterborne coatings for dry container. After many years of focused research and development of waterborne coating systems, CMP said it made a significant breakthrough with the Ekomate advanced waterborne coating system, which could reduce VOC emissions by 80 percent when compared to solventborne coating systems. In addition, Ekomate products improve the working environment by reducing odors and because they are water-based rather than solventborne, the products remove a number of hazards associated with the risk flash ignition and fire. Following cooperation with dry container box manufacturers and owners, which included many trial applications in China, which is the hub of the new container box manufacturing industry, the trials have demonstrated that the Ekomate technology can be applied on existing production lines with minimum adjustment to the norms or investment in new equipment said the company. CMP Shanghai is manufacturing 2,000 tons of Ekomate per month and is expanding production capacity to meet market demand, which in turn continues to elevate CMP’s green policy and ongoing commitment to the environment. Henkel also started construction for its 150,000 square-meter adhesives factory in Shanghai Chemical Industry Park. The new facility will be the main adhesives manufacturing base in China and the Asia-Pacific region. Upon completion, the new Henkel factory will be the largest adhesives factory in the world with an estimated annual production of 428,000 tons the company said. The construction of the new adhesives factory is part of the company’s overall strategy to expand its capacities in the growth regions. Currently, Henkel realizes 42 percent of its total sales within the emerging markets, and 53 percent of its employees are now working in those markets. 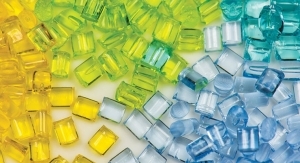 The new state-of-the-art adhesives facility, which is scheduled to begin production at the end of 2012, will enable Henkel to cope with the rapidly growing demand in China and the Asia-Pacific region for its adhesives. 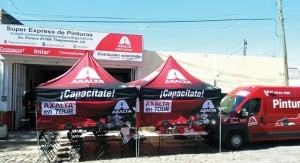 The new factory will require a total fixed asset investment of 50 million euros. Henkel also plans to hire 600 employees to operate the new facility. The new adhesives factory is also a result of the company’s efforts to further optimize its overall manufacturing activities by concentrating on high-performance factories that will generate more significant cost, productivity and efficiency advantages. As part of this initiative, Henkel’s new adhesives production facility in China will significantly expand capacities for existing and new technologies. These efforts have also been aligned to make operations more environmentally compatible as the new adhesives factory will set a high industry standard for its high operational efficiency, low energy and water consumption as well as low carbon emissions. H.B. Fuller Company opened its most recent manufacturing facility in Nanjing, China. The new plant is the first multinational reactive adhesives plant in China the company said and is located in the Nanjing Chemical Industrial Park. This facility and the company’s regional technical center in Shanghai will collaborate to serve the Asia Pacific region. H.B. Fuller’s Nanjing facility will produce urethanes and other reactive chemistries for customers in the construction, filter, flexible packaging, solar, textile, window and woodworking markets. Germany-based Dürr has been contracted to build an automobile paint shop in China for the FAW-VW joint venture. This automotive paint shop, which Dürr says will have the lowest emissions in all China and a capacity of 34 vehicles per hour will go into operation to paint various Audi models starting in March 2013. The plant will have completely automated primer, base and topcoat application and has expanded the joint venture’s capacities in Changchun. Dürr is responsible for the construction of the complete paint shop, including application technology and exhaust air purification. The company will use its EcoDryScrubber system for the dry separation of overspray that it says reduces energy consumption up to 60 percent in comparison to conventional spray booths by using air recirculation. Fresh water and coagulation chemicals can be completely dispensed with and overspray bound by limestone powder can be reused. The use of water-based paints in the primer and basecoat section is also new and environmentally friendly as well. The Ecopaint RoDip M rotational dip coating process, which is already used around the world in 46 different paint shops for PT / ED applications, will be used in pretreatment and electro dipping in Changchun. With this Dürr said the rotation of the entire body in the tank optimizes the dipping, flooding and draining process. By eliminating the entry and exit ramps the tank volume is decreased, reducing the need for energy and chemicals. Prior to the filler and basecoat applications, the car body is cleaned by six EcoRS Clean robots and sword brushes. Interior and exterior painting is fully automated, using a total of 62 painting and handling robots from the EcoRP L series. EcoBell3, the new atomizer generation for electrostatic paint application will be used for the application of primer, base coat and clear coat. Seam sealing, including the hemflange application, underbody protection and pore recognition, is carried out by 16 EcoRS robots. Three of PPG Industries' architectural paint brands recently won recognition in different categories of the 2011 China Top 10 Coatings Brands Awards. Sponsored by HC360.com and the HC Coating Network, the annual awards ceremony in Beijing marks the opening of the Coatings Industry Summit, which this year was themed: Innovation, Harmony, Responsibility, Influence. A leading industrial sourcing website in China, HC360.com encourages and recognizes innovations, advanced technologies and new approaches and products in the coatings industry through its selections of the Top 10 coatings brands in various categories. For 2011, a panel of coatings industry experts recognized several PPG paint products for their superior performance, cost-effectiveness and innovation. Master's Mark paint was named among the Top 10 Interior Paints by Foreign Brands; IVY stain was named one of the Top 10 Home-Improvement Wood Coatings Brands; and Seigneurie paint was named among the Top 10 Architectural Coatings Brands. "PPG invests heavily in research and development to offer new architectural coatings products and technologies with exceptional quality and 'green' advantages," said George Ge, PPG general manager, architectural coatings, China. "We are honored to be recognized again with several Top 10 Coatings Brands Awards acknowledging not only our leading products and exemplary service but also our efforts to provide innovative solutions that enable greener buildings." Master's Mark, IVY and Seigneurie decorative coatings help beautify and protect landmarks and key projects in China such as the elevated highway in Shanghai and several pavilions at Expo 2010 Shanghai. The annual China Top 10 Coatings Brands Awards are sponsored by HC360.com, an e-commerce platform in China's chemicals industry. Since their debut in 2004, the awards have been regarded as influencing the brand image of coatings producers in China. The awards provide an effective platform for facilitating communications among coatings suppliers from China and overseas markets. • Offshore engineering schemes and infrastructure development will bolster sales of marine and protective coatings.